If you’ve been following my blog then you probably have figured out that I am really excited about the new game LEGO Rock Band. As a Guitar Hero, Dance Dance Revolution, and Sing Star fan (Can you tell I like music video games? I also like to do karaoke, but that’s another story. 😉 ) LEGO Rock Band seems like the perfect combination to me. 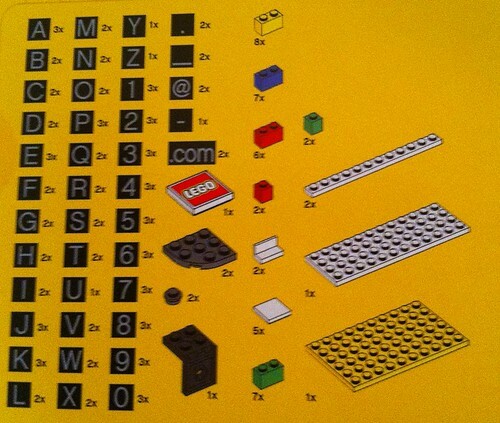 Now I know that several, okay more than several, true AFOLs (Adult Fans of LEGO) may not see it the same way. 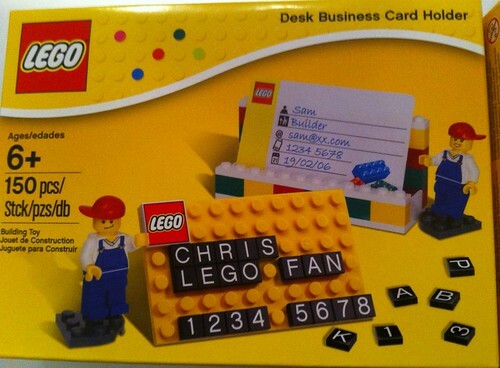 They see LEGO just following on the bandwagon (yes, pun again intended) to make more money. And maybe that is the case, but I really don’t care. I mean its LEGO, its fun songs, and its a video game. Plus the more and more I see of the game, the more and more I just can’t wait to get my hands on my very own copy! Although the game play itself is like any other Rock Band or Guitar Hero, the back ground stories and videos are LEGO at its best! The only problem I see is that you will want to watch the videos and won’t be able to concentrate on the game at the same time! And though I still haven’t really played the game myself (except for a very brief moment at Comic Con with the demo game) I’m pretty sure that this will be very high on my Christmas wish list. The Rolling Stone has released the full playlist of the new LEGO Rock Band video game. I know that I’ve been focusing mainly on new LEGO product and not mentioning any of the cool MOC (my own creations) built recently, but with the holiday season fast approaching LEGO is pulling out all the stops when it comes to retail sales. I thought it was really cool especially when I saw that it said “Pre-order today and receive this keychain.” But then I saw the little asterisk at the end and did a little more digging online. Still cool, just not the same. And the whole “Backstage Pass” concept is more indicative of game. 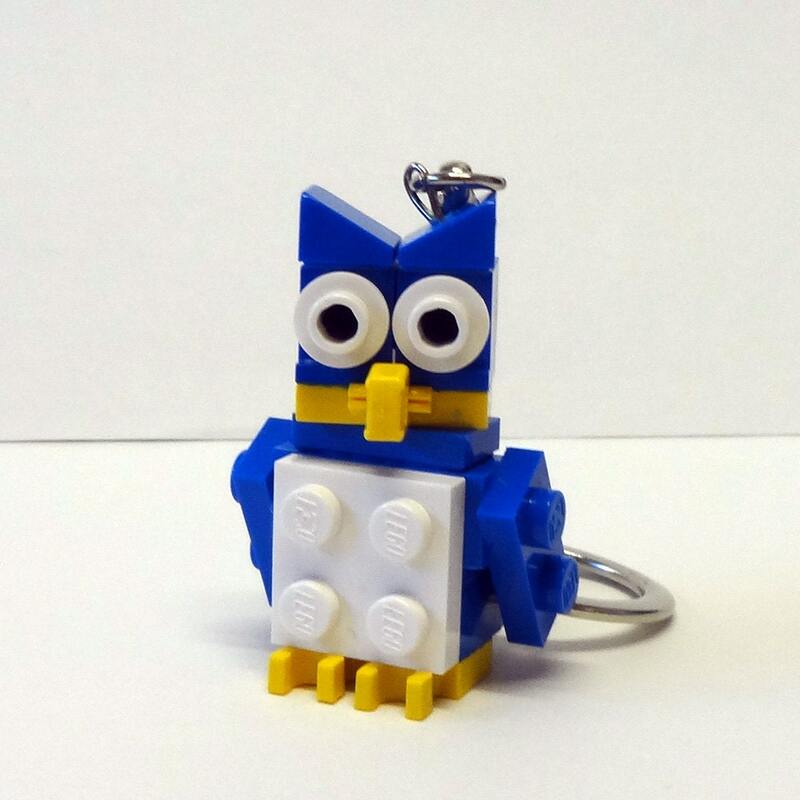 But at the same time I can see why LEGO would go with an actual LEGO keychain. 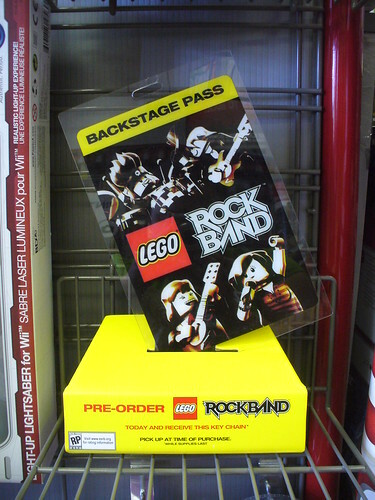 LEGO Rock Band retails for $49.99 USD for Playstation 3, Xbox 360, Nintendo Wii and it retails for $29.99 for the Nintendo DS. The game will be available November 10, 2009. These would be the perfect set for any lego rockstar fan, and they provide infinite custom paint jobs for those of you good with a paint brush, all that’s missing is an amp and cable. These should be on sale soon and form part of the 2010 collection. Here you can see an early prototype of one of the guitars and the Slash hat. I knew that LEGO had produced multiple versions of the Millennium Falcon over the years, but seeing so many all at once is pretty cool. 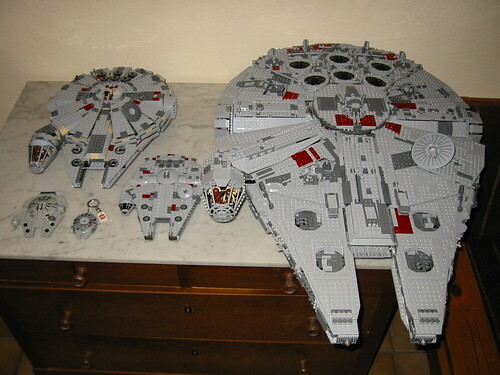 The only one Andrew aka Bard with a Beard on Flickr is missing is the Classic Millennium Falcon from 2000. Okay, I was planning on posting last night, but I was a little (well actually a lot) tired. For those who haven’t been, Comic Con can be intense!!!! 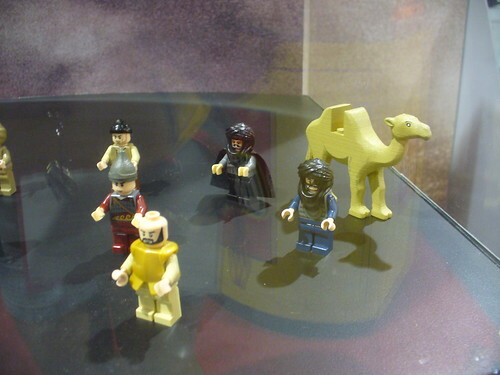 Well, LEGO premiered the new Toy Story and Prince of Persia minifigs. As I also mentioned, two of my models are on display this year at the TwoMorrows Publishing booth — publisher of BrickJournal. 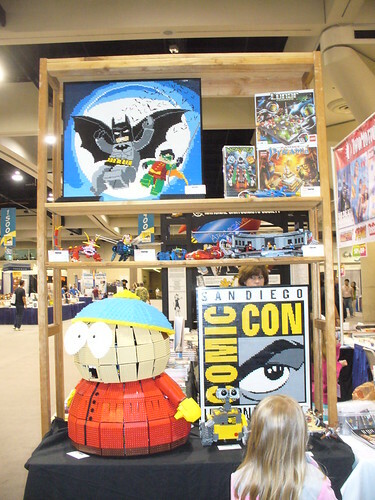 I have my LEGO Batman Mosaic and my Comic Con logo on display. I was given permission from Comic Con to create their logo. 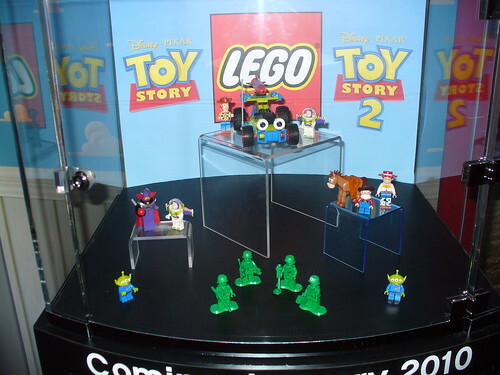 LEGO also has SEVEN Comic Con exclusives this year! They are all Star Wars related, because it is the tenth anniversary of LEGO Star Wars. 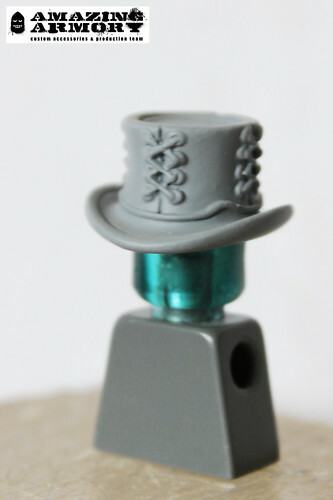 There are two micro ships for the BrickMaster exclusive (you have to go in a raffle to get the “chance” to buy it), sorry I haven’t taken a picture yet. 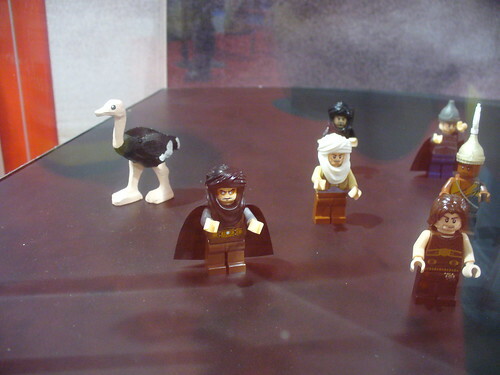 There are six sets of 3 Star Wars minifigures — one exclusively for each day of the Con (also a raffle), and one that is available the whole Convention. They are all $50 each. A little pricey for my personal taste, but they are selling like hot cakes! On the video game front, Warner Brothers is premiering LEGO Rock Band! I still haven’t gotten to play the game yet, but from what I’ve seen, I really want the game! DK Publishing also had their LEGO Star Wars Visual Dictionary panel today where they officially announced the ceremonial Luke minifig. I’ll get a picture up soon. That’s all for now, I have to get up really early (4am) to get decent parking. I’ll try for some more pictures and more updates tomorrow.